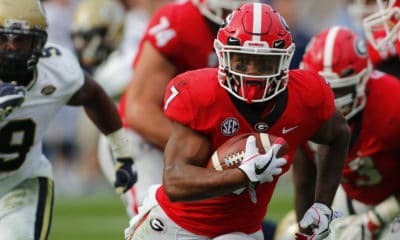 Georgia trailed most of the game but battled back in the 2nd half to defeat the Georgia Tech Yellow Jackets 73-72 at Alexander Memorial Coliseum in Atlanta. Dustin Ware nailed his seventh three-pointer of the game with 15 seconds remaining in the game to give the Dawgs a 73-70 lead. But then Glen Rice scored an uncontested two-point shot with just over 6 seconds left to close Georgia’s lead to 73-72. On Georgia’s ensuing possession, Gerald Robinson, Jr. was fouled, but he missed both free-throws. A last second full-court throw by Tech was unsuccessful, and the Hoop Dawgs escaped Atlanta with the win. 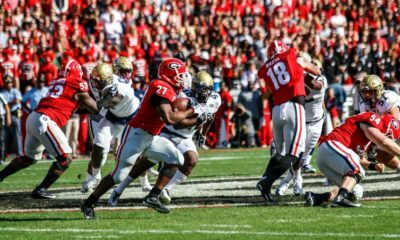 Georgia’s victory in the 187th edition of Clean Old Fashioned Hate reduced Tech’s overall lead to 15 games. The Yellow Jackets now lead the overall series 101-86. Dustin Ware and Trey Thompkins led the Bulldogs with 21 points each. Gerald Robinson, Jr. scored 11 points and Sherrard Brantley added 9 points off of the bench. 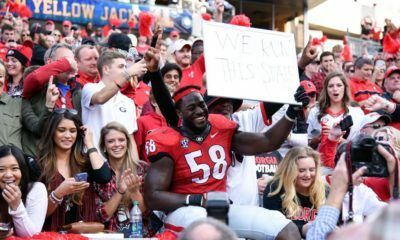 The Bulldogs are now 6-2 overall with four quality non-conference wins: Colorado and UAB at home and Georgia Tech and Saint Louis on the road. 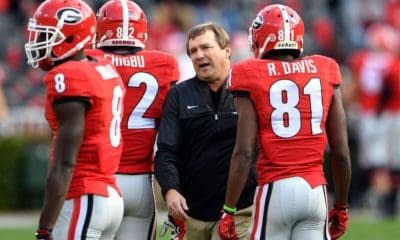 Next up for the Dawgs is a home game against the Arkansas State Red Wolves on Saturday, December 18, 2010. The game will be televised by CSS at 12:00 p.m. ET.